The third volume of the T.S. Eliot letters is better-edited than the second. The biographies of correspondents seem to have been cleared of the worst howlers (though Arnold Bennett’s The Old Wives’ Tale is still described as the ‘first book of the Clayhanger trilogy’, which it is not). John Haffenden’s notes are useful and learned, but I’ve noticed one instance where he has gone wide of the mark. I think that Mr Morton’s work, especially that part of it which might be termed ‘Dolly Dialogues’ is extremely clever and amusing. 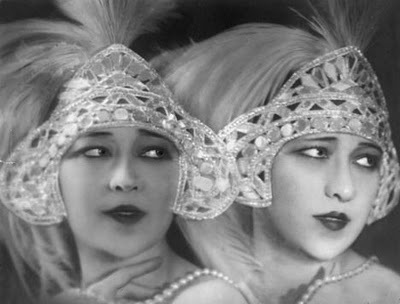 John Haffenden’s note says: ‘The Hungarian-born Dolly Sisters (b. 1892) comprised a successful singing act’. But actually, it was their dancing that they were most celebrated for, and I can’t find any reference to their having engaged in memorable dialogue. 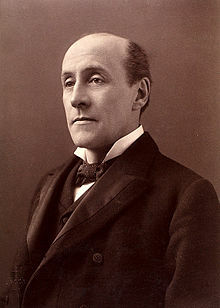 The reference in the Watt letter, though, must surely be to something quite different, to Anthony Hope’s The Dolly Dialogues, first published in The Westminster Gazette and then collected in book form in 1894. They are light flirtatious conversations; Reginald Pound has a nice phrase for them: ‘exercises in […] distinguished persiflage’, but (writing in 1966) considered them ‘long since grown brittle with age’. So they may have, but you can judge for yourself by downloading the Project Gutenberg text. It’s rather enjoyable. I think that they were popular because they gave young people a model for how to chat amiably with one another – semi-flirting without getting serious – in the way that some streetwise sitcoms do for young people today. A.E.W. Mason thought these conversations ‘so truly set in the London of their day that the social historian would be unwise to neglect them’, but now they are obviously so forgotten as to outside the ken of even so learned a man as Professor Haffenden. A New York hostess privatley offered him £500 if he would choose here drawing-room as the scene of his first social appearance in that city. On a train to Boston, the dining-car attendant seized a chicken bone from Hope’s lunch plate, announcing that he intended having it polished to present to his lady-love. This entry was written by George Simmers and posted on November 21, 2012 at 11:58 am and filed under History, Magazines, popular culture. Bookmark the permalink. Follow any comments here with the RSS feed for this post. Post a comment or leave a trackback: Trackback URL.